This is the most amazing brush for applying liquid or cream foundation! I have been using it every single day since I got it and I couldn’t be happier with how it works! What I do is I put a little bit of foundation (currently I’m using Chanel’s Vitalumiere Aqua) on the back of my hand and then dip my F80 into the foundation. Then dot this on my cheeks, my forehead, my nose and my chin. Lastly I just blend out and buff the foundation into my face and Ta-Da – we have the perfect flawless, airbrushed finish! Using this brush is actually completely effortless and hassle-free! As far as cleaning your brush goes, I would say that you’d definitely need to take your time cleaning F80! I tried to use my MAC brush cleanser first but it didn’t do the job properly. 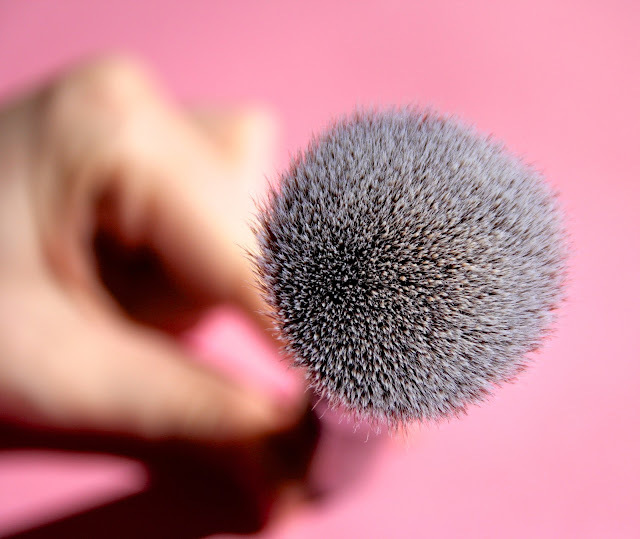 Since this brush is so dense a lot of product get stuck between the bristles and in order to get the whole dirt out, you will need to run the brush under warm water and then work a little bit of cleanser into the bristles and then rinse well. This way you’ll be sure that the gunk is fully removed! Then you just let it dry and in 4-6 hours your brush will be ready to use again! I seriously love Sigma brushes. There the best make up brushes I have ever tried! This is definitely on my list now! It looks just dense enough! 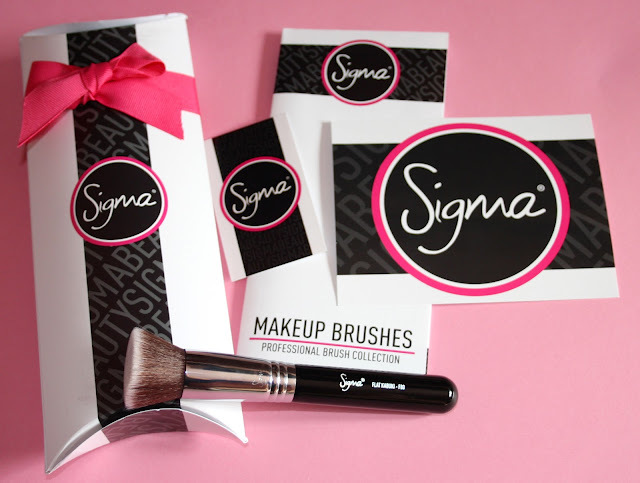 I've always wanted to try sigma brushes! Beautiful! I definitely love investing on good makeup brushes! I need one of these for my foundation! I've heard great things about this brand, so thanks for sharing! hey hun absolutely love ur blog! thanks so much for stopping by mine! now following u on all platforms :) hope u will follow back! Beautiful makeup! Would love to try this brush. great review. I have not bought a Sigma brush before but have always eyed them. Thanks for the review! I just tagged you in a blog post of mine "The Procrastinating Beauty TAG"
I definitely have to try this...it looks like a really great brush! Reminds me, I need new brushes!! Lovey high quality blog!! I like it a lot! Would you mind taking a look at mine as well, maybe even follow each other? Hi dear, your make up is done so flawlessly, you look beautiful. This reminds me I need a new foundation brush, great review! So jealous! I'm in need of a new foundation brush. Might just have to be this one. Your foundation looks so flawless! I've been debating on whether to get some Sigma brushes or not. I've heard lots of great reviews on them but the only problem is that I don't want to end up as a brush hoarder, haha! You're wonderful :) Thanks for your comment on my blog..
wow I'm definitely looking to invest in brushes like these in the future! I've been looking for a great foundation brush. This looks awesome. I use liquid foundation... but if their brushes are great, I'll definitely look into their other brushes! I've been needing to replace mine... they're getting pretty old! I see why you like it, the result is amazing! I flipping love Kabuki brushes! They are so amazing for creating that flawless skin look. Such an important make up tool that all need to know about. Thanks love. it looks like a great brush! I need to try more brushes, especially after seeing the result on you. It seem like a real good buy, and much cheaper than MAC. This brush looks great! I might need to buy one too! They look perfect, and wow for the pink setting! Oh wow that's great news, I can tell why they chose you! ;), xoxo. 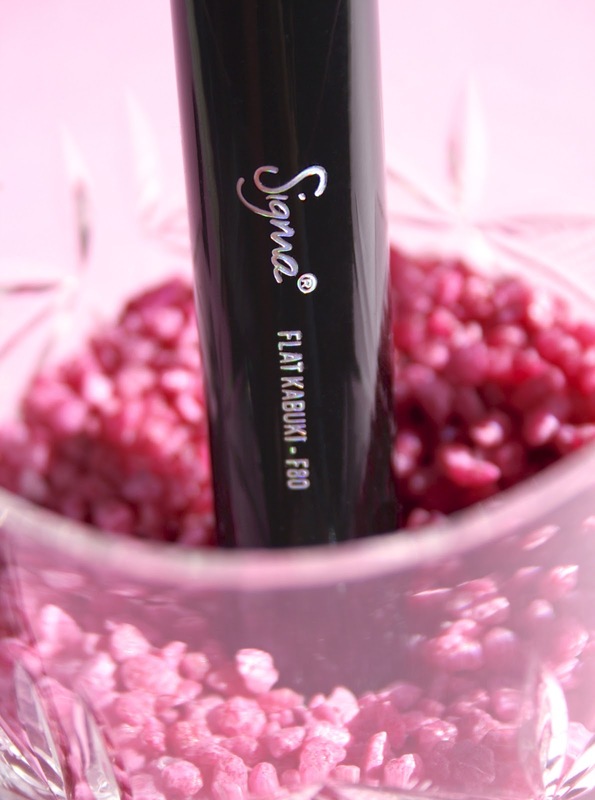 I really want to try some brushes from Sigma! Oh my god, your blog is absolutely cute sweetie. 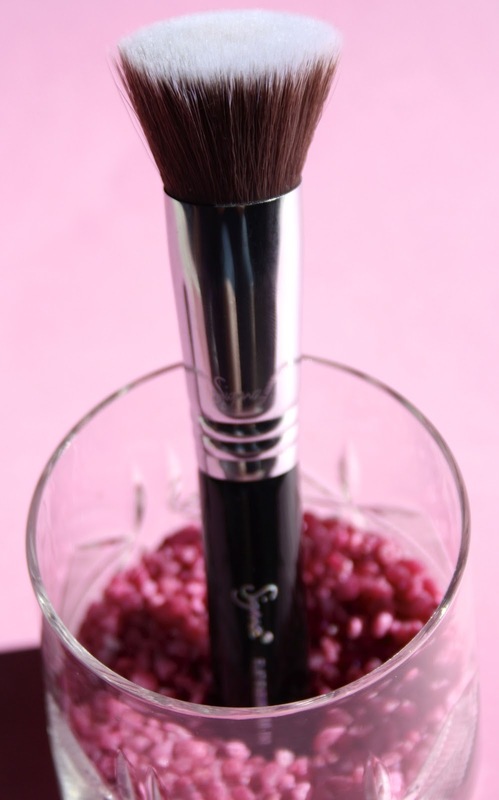 many thanks for this review this kabuki brush looks really georgeus for foundation. Now I´m following you i hope your follow me back. It seems to be very great brushes! Everything here is so cute. Thanks for stopping by my blog!! Your blog design is so cute, I love the colors & patterns! Wow this brush seriously does sound amazing! I need one of these in my life lol You look absolutely flawless in that last photo, gorgeous! I've wanted this brush for so long! You look really beautiful! I heard that Sigma is very good - I use some Chanel brushes, but a very good friend of mine just loves Sigma, so I think I'll give it a try! Nice blog and post! thanks for your comment on our blog!! we are following you on gfc! if you like follow back!! your blog is great hun...would you like to follow each other...? woow! Lucky you! I love sigma brushes! these ones look amazing! Amazing brush and great blog! I heard so much about Sigma brushes. I'm using Real Techniques brushes at the moment, but I'll give Sigma ones a go too. You are gorgeous!! I love this review!! I love this blog, how cute! And you are adorable! Your makeup looks amazing. Gosh! You're gorgeous! And I totally see why you love the brush so much! It IS ridiculously soft and does such a great job! I definitely am in need a good makeup brush! The one I currently have are losing its bristles and is just a mess. By the way, you are so pretty! love this blog! Do you want to follow each other! If yes, let me know! Greetings from Moscow! I like Your blog! 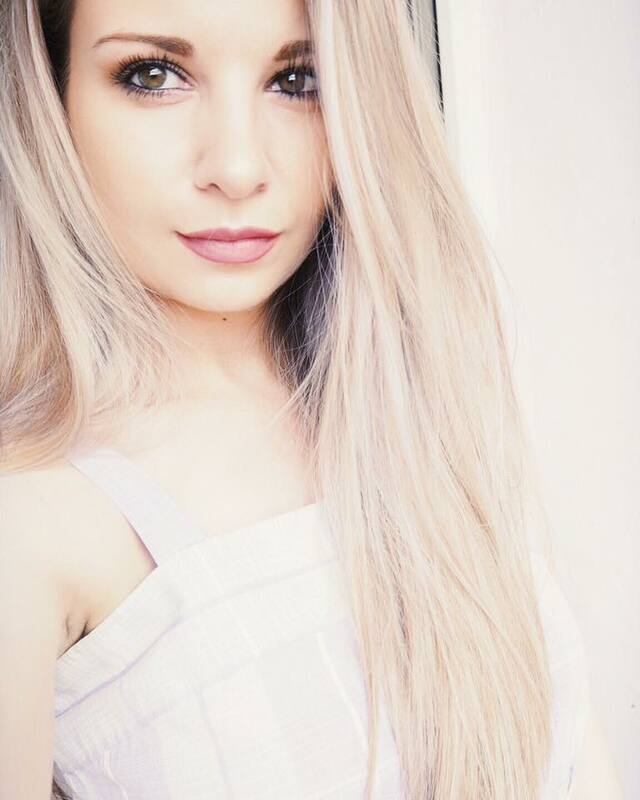 Btw now I´m following you i hope your follow me back. Your makeup looks lovely. This brush looks so good, I'm using the real techniques buffing brush atm, that makes my foundation go on so evenly. Sigma brushes look amazing, I've wanted some for so long but they're soooo expensive! Brilliant photos too by the way, I love when blogs have good photos, really makes a difference. Amazing brush! Looks really nice and useful! Great pics and I love the blush! That brush indeed looks amazing! Your face looks flawless! Welcome to my blog. Hope we could follow each other. anyway, wander if we can follow each other? You have such a great blog, Rosy :) I cant believe I only followed now! Your review is an answered prayer! Ive been looking for a nice review before I try this. Might have to give this brush a try! Really good blog and the results using the brush are flawless. I've always wanted this brush! Your blog looks so nice, I like it.